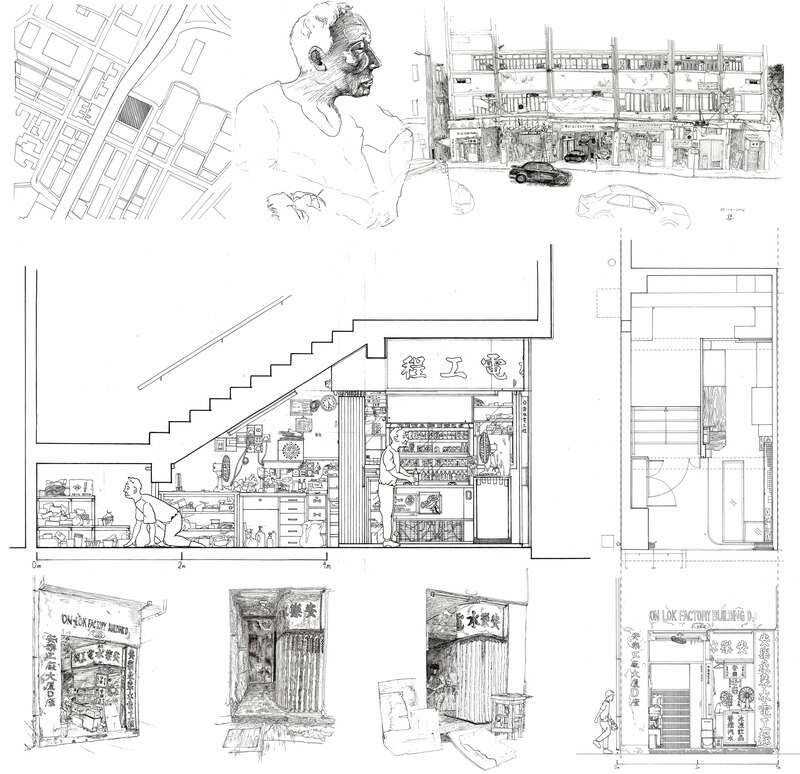 Cheng Wing Chun has not chosen to be a professional as registered architect or social worker, but it doesn't imply that he forsakes the meaningful work. Instead, he integrates all these in his jobs of designing and making. Wing Chun studied social work in City University of Hong Kong and naturally implanted the idea of "enhancing the well-being of people." 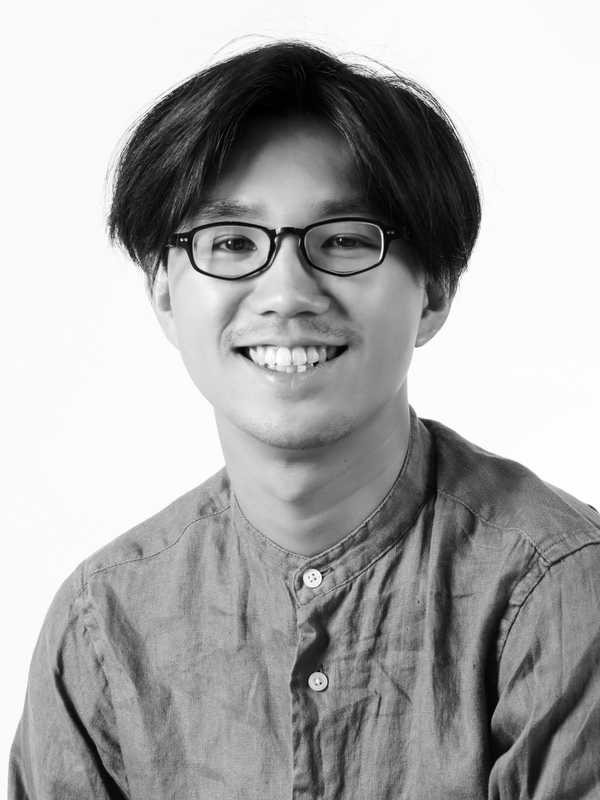 However, he took the architecture course in Hong Kong Design Institute and the top up degree course in the University of Lincoln after he realised his inclination of making things and the amazing world of art and design. 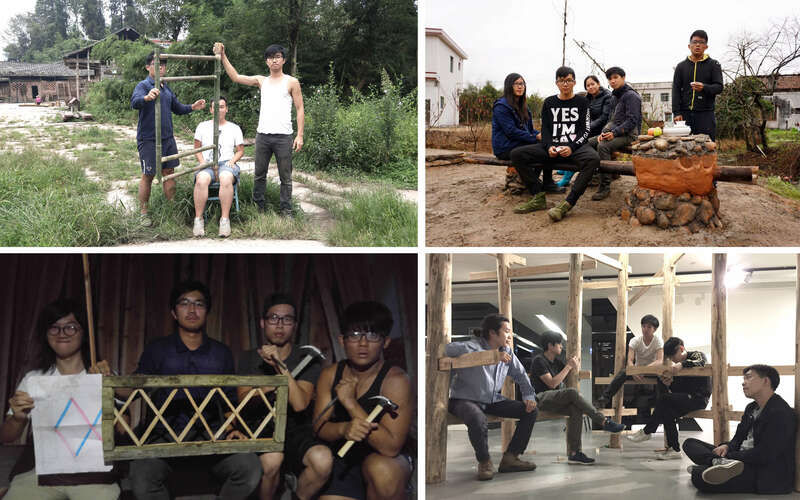 During the period, Wing Chun joined natural material architecture workshops in Mainland China, took a furniture and spatial design course in Denmark through exchange programme, and founded with partners two workshops based in To Kwa Wan. So, while he has just obtained a degree this year, he knows well that he will not join the developer-led architectural profession; his self-position is "designer/ maker." 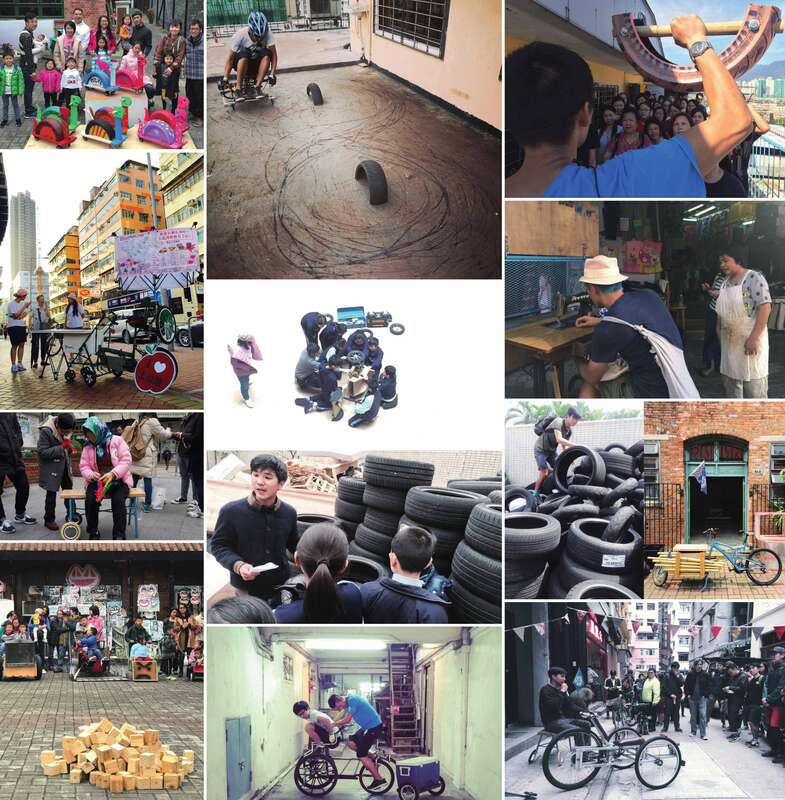 Established in 2015, "Wheel Thing Makers" creates bike-liked objects with recycled wheels, which is a means of innovation and community education. Wing Chun values the democracy participation in the creation process, and he works as a part-time teacher in order to "make wheel things" with primary and secondary students. The newly established "Gaau1 Up" is a local plastic up-cycling workshop to produce plastic furniture and partitions. 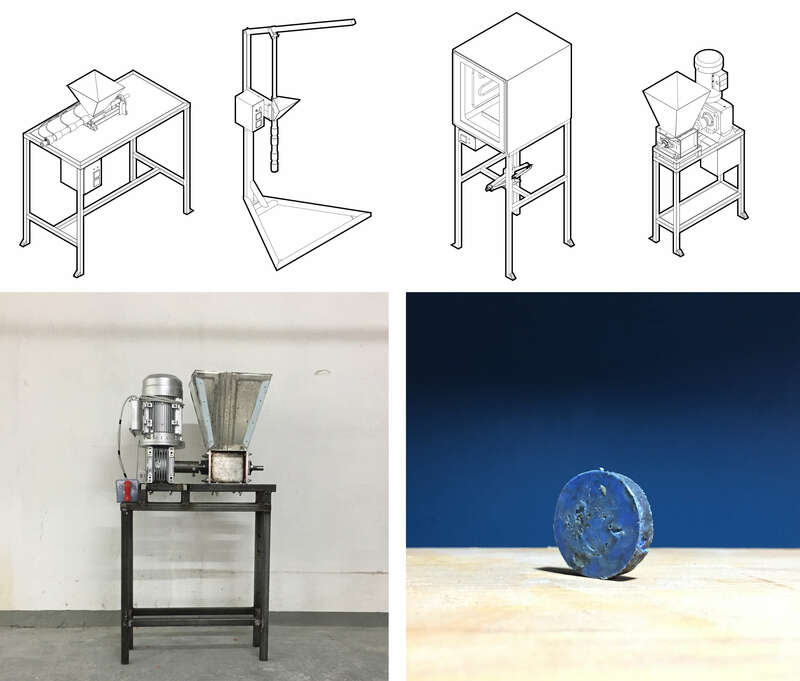 They are now at the stage of building the up-cycling machines with the open source design by Dave Hakkens, a Dutch. Wing Chun finds enough satisfaction in using open source designs as there are still lots to explore and improve. To him, its educational value is more important. They are going to invite people to participate in the process of recycling and making plastics. Wing Chun claims that the award is not his personal honour, because all these are team works. Taking a path of participatory design, he would like to gain more knowledge in technology and natural materials.